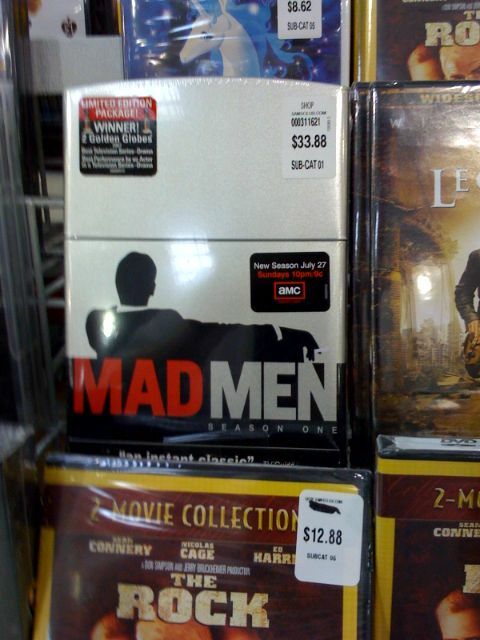 The Mad Men season 1 box set is shaped like a retro metal cigarette lighter. Interesting…. apparently, a nod to the series’ use of cigarettes and smoking to create a certain ambience. What I’ve always loved about George Carlin is that, although his language was a bit salty, he always told it just like he saw it. A very smart, very funny guy. He’ll be missed.